“The Hum” by Sharon Mikeworth is an excellent horror/thriller that takes a very simple phenomenon known as the Hum and turns it into a terrifying entry point for an out-of- this-world thriller. 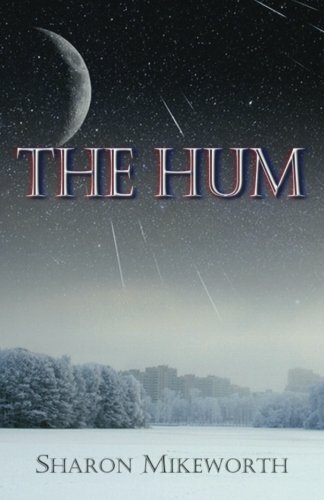 The simplicity of the initial problems, combined with Mikeworth's ability to create believable characters that are just normal people dealing with normal problems, makes “The Hum” one of those titles that draws you in from the first few pages and keeps you interested all the way through the story. The author wastes little time before jumping right into the story, and while it may seem like there should be more build up, the pacing of “The Hum” is actually perfect and reading it quickly becomes addictive. “The Hum” follows Lee Bennett, the man who can hear the Hum. Lee becomes interested in what the Hum is and begins investigating. Lee soon finds other phenomenon related to the Hum and very quickly begins to question his and everyone else’s safety, and even his sanity. The real question is whether Lee is finding more because he is looking for it, or because it is looking for him. This page-turning thriller might be the best Indy book I have read so far this year. Another excellent thing about “The Hum” is the character development. I found myself actually caring about what happens to them both in relation to the Hum and in everyday life. My favorite part of “The Hum” is how it constantly leaves you guessing and creates legitimate misdirection. This is something a lot of author’s attempt, but Mikeworth actually excels at doing. The other thing Mikeworth does well is she constantly reminds the reader of the human element of the story. Lee and his wife are human, and even though the world may be going to hell, they still have real personal issues. In conclusion, I cannot say enough good things about “The Hum” by Sharon Mikeworth. The bottom line is if you’re a fan of the horror genre and enjoy fast-paced Sci-Fi styled stories that push what can be considered believable, then the “The Hum” is a good choice. Mikeworth does a great job keeping the characters and setting believable while at the same time drawing the reader into a world where almost anything is possible. The one fear I typically have with this type of genre and story is that the ending or conclusion will be a cop-out. In the case of “The Hum,” Sharon Mikeworth quells this fear and does not disappoint. I strongly recommend this book.